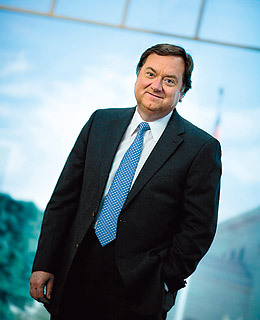 In journalistic world dominated by sound bytes and bombastic blowhards, Tim Russert stood out and stood above the rest of the pack. To my mind, he was the Walter Cronkite of our generation. Smart, honest and direct; Russert was always on point and respectful no matter who was across the table in his interviews. But for all of his journalistic accomplishments, perhaps Russert’s greatest contributions were his books on fatherhood. Heartfelt and unflinching, Russert gave us a great example of how to be both tough and tender as a father. New fathers, young and old, without a Big Russ of their own, would do well to pick up Big Russ & Me and Wisdom of our Fathers. I am fortunate to have my own “Big Russ” in my father Richard, so much of Russert’s words echo with my own experience. So on this Father’s Day Weekend, hug your fathers and sons. Then, as this election year unfolds, make it a point to be an informed, active citizen and vote. These actions would seem a most fitting tribute to Tim Russert; a national treasure taken from us far too soon.